A kiss can lead to so many unexpected things…especially one that takes place under the mistletoe. Join authors Killian B. Brewer, Pene Henson, Erin Finnegan, Lilah Suzanne, and Lynn Charles as they explore the most tantalizing literary kisses and their lasting impact in books in this new series, Standing Under the Mistletoe with Interlude Press. 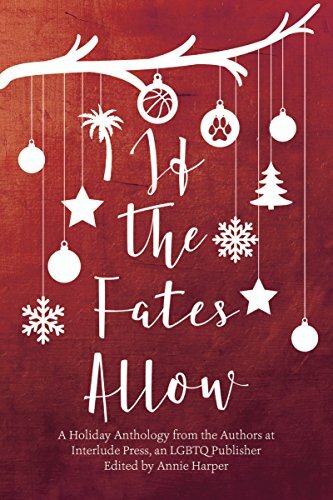 Every day from December 4th to December 8th, HEA USA Today, The Book Smugglers, LGBTQ Reads, All About Romance, and The Mary Sue will feature a new article from each author of the LGBTQ+ holiday themed collection, If the Fates Allow (out now from Interlude Press). This is the one for All About Romance. Woo hoo! I know, I know. There is an unbreakable rule in romance novels and that rule is: No cheating. That and, of course, the all-important happily ever after rule. I have to admit that I have always had a tendency to bend the rules a bit, so I’m doing that here, too. Instead of my favorite literary kisses and how they’ve influenced my own stories, I’m going to talk about how romantic comedy movies have had a major impact on my writing, from structuring the plot, to the style of humor I employ, to the perfectly timed and much anticipated oh my god it’s finally happening kiss. I am huge reader, don’t get me wrong. 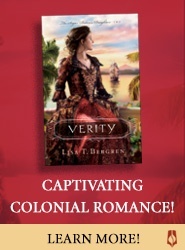 I love and read a wide variety of genres including romance, of course, and my literary influences are vast and many. But for my story Halfway Home, that is part of the upcoming holiday anthology If The Fates Allow, I looked to two main sources to build my story: Nora Ephron films and Hallmark Holiday made for television movies. Though given the overwhelming cis-gendered and heterosexual makeup of those movies, it’s more like: Nora Ephron films but queer. So Sleepless in Seattle plus When Harry Met Sally minus Tom Hanks and Billy Crystal, where Meg Ryan falls in love with… Meg Ryan. Halfway Home follows a condensed romcom plot line that is heavily influenced by one of my very favorite holiday traditions of watching super cheesy and always heartwarming holiday movies. Those low-heat romcoms set on a Christmas background that feature a disillusioned heroine who has lost her Christmas spirit, then a twist that brings our would-be-loves together, holiday-themed shenanigans as they fall in love, Santa magic, the true meaning of Christmas, and our happily ever after that arrives just in time for presents. Avery Puckett has lost her way and no longer cares about anything, including Christmas that for her has just become another pointless day. She meets someone who changes her life and gives her that spark back: a tiny, angry chihuahua named Rudy. Oh, and Grace the beautiful and kind animal rescuer who Avery falls helplessly in love with. There are obstacles along the way, naturally, some misunderstanding and near-misses. Usually in those holiday movies there isn’t a kiss until the very end, usually while snow falls magically around them or a Christmas tree winks festively in the background. I don’t want to spoil anything, but I’ll say I did not break form with the ending of Halfway Home, I promise, so rest easy. It’s all the goodness of a made for TV holiday movie plus all the fun of a romcom minus Tom Hanks (sorry Tom Hanks, it’s nothing personal) and minus those random handsome dudes they seem to have a back stock of over on the Hallmark channel, where instead Meg Ryan falls in love with Lori Loughlin. I would definitely watch that. Like most romcoms, however, Hallmark and Lifetime have yet to feature a gay or queer couple. But I have faith they’ll get there. Psst, Hallmark: Call me. I’ve got a million ideas for you. But wait, if I’m such a book lover, why cheat and look to movies as an influence for my books? Aren’t there books that would work just as well? I guess it’s because, even though I found my voice through written stories, I found my sense of humor through the romcoms on TV and in the movie theater. That humor is really the essence of my stories. It’s in the banter between my characters, it’s the way the story unfolds in my head, it’s in the plot where my characters fumble through hijinks and shenanigans to find their way to the happily ever after. That iconic first kiss on the Empire State Building and the perfectly timed moment when the music swells and snow falls and Santa’s eyes twinkle knowingly that gets me every time. It’s not that books can’t do all of that, they can and do! It’s just that movie romcoms are where I first cut my teeth, and where I go back year after year and repeat viewing after repeat viewing, so for me that’s just how it happens. People like romantic comedy films for the same reasons they love romance novels: Getting swept up in a love story, finding comfort and hope and inspiration in the characters’ journey towards each other, the soothing salve of escapism where a happy ending is guaranteed. And despite my rule-bending tendencies, I do actually respect the rules and boundaries of romance, because for me that’s the most compelling part: How I can play within the bounds, creating stories that follow romcom and romance beats but just a little bit differently? Luckily there are movies that push against typical constraints, with queer romcoms like Imagine me & You, The Incredibly True Adventures of Two Girls in Love and,stay with me here, But I’m a Cheerleader. If everyone deserves a happy ending, which they do, then everyone, regardless of gender or sexuality or gender identity certainly deserves to see themselves in a delightful and comfortingly cheesy romcom, too. That’s my mission. I’m lucky enough to have Halfway Home included in a collection of stories that is everything a Christmas anthology should be. If The Fates Allow features diverse stories that are full of heart and hope, longing and happy endings, and yet still offer something a little different from the standard holiday fare: from a visceral sense of place, to a delicate handling of grief, to being reminded who and what the holidays are truly about, and finding somewhere to belong in the most unexpected places, all written by authors I admire. And a ferocious eleven pound chihuahua mix, a must for any holiday anthology. I hope readers can find room for something a little different among all of their favorite holiday traditions and give If The Fates a try. About the author: Lilah Suzanne has been writing actively since the sixth grade, when a literary magazine published her essay about an uncle who lost his life to AIDS. 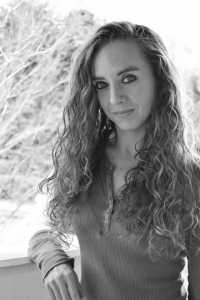 A freelance writer from North Carolina, she spends most of her time behind a computer screen, but on the rare occasion she ventures outside she enjoys museums, libraries, live concerts, and quiet walks in the woods. Lilah is the author of the Interlude Press books Spice, Pivot and Slip, and the Amazon bestselling Spotlight series: Broken Records, Burning Tracks and Blended Notes. Thank you for the post, All About Romance! Thanks so much for letting me stop by and talk romcoms! This is what the best romance novels are made out of. The bounds are just the beginning creative flight of romance storytelling, not the end. I am not a visual person — whether it is an online news video or a movie. And yet, there are movies I will watch again and again, because it has that fairytale like story where bad things may happen to the protagonists but good always prevails.